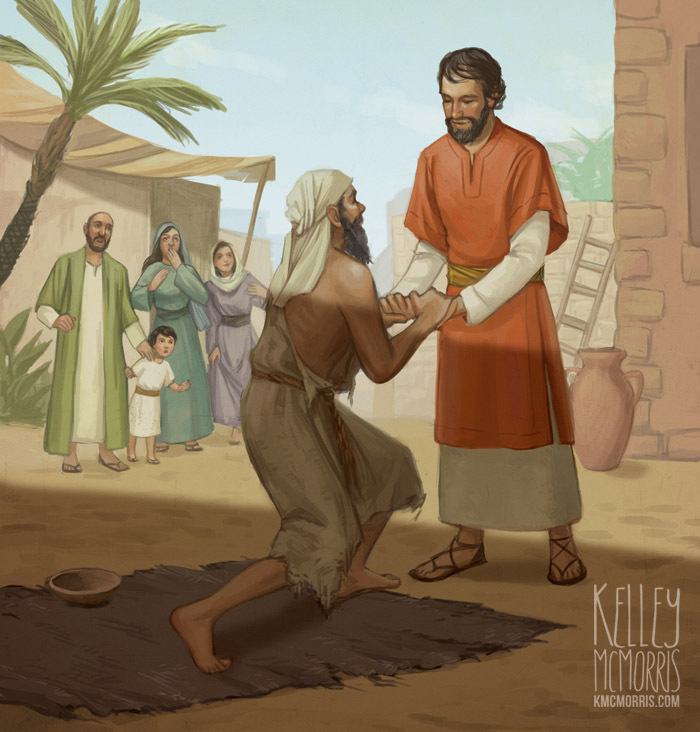 Here are some illustrations of the apostle Peter that I did for Lifeway's Explore the Bible series. I drew these over a year ago. I particularly like this one because of the cast shadow - Peter is literally pulling the crippled man out of the darkness and into the light. This was the drawing where it clicked in my head that I could use cast shadows for mood and narrative purposes, and it was quite the rush of power. 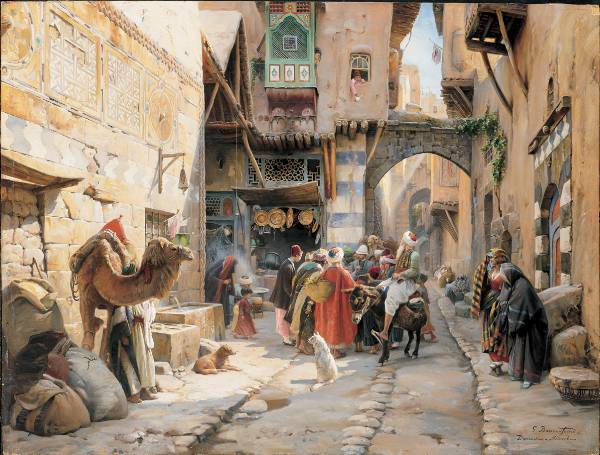 For this scene of Peter preaching, I looked at a lot of orientalist paintings for inspiration. 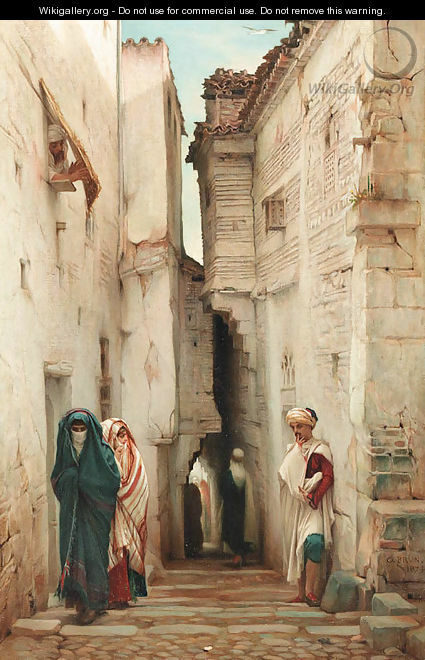 Even though orientalist paintings are not set in Biblical times, they're still helpful for getting ideas for drawing pre-Industrial middle-eastern cities. 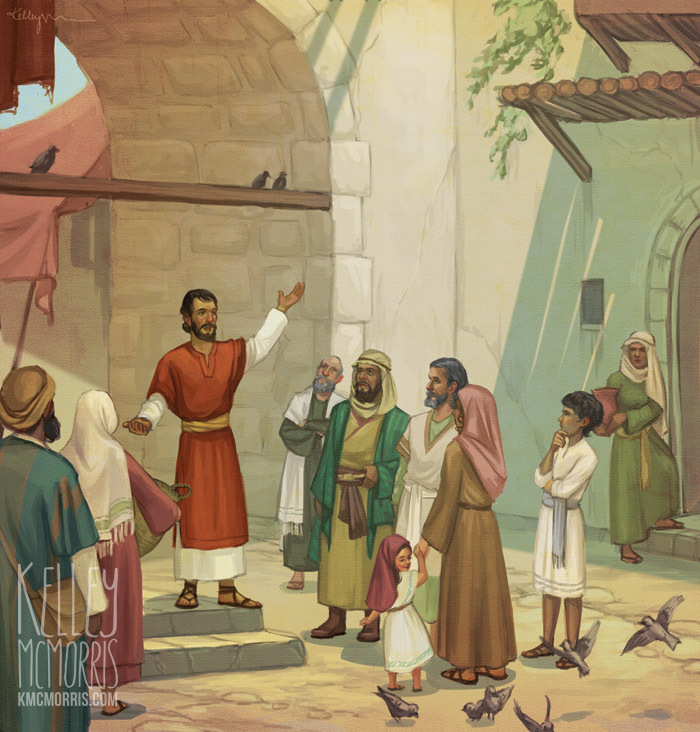 Lifeway has me draw a lot of scenes of men preaching to crowds, so I'm always looking for ideas for settings.